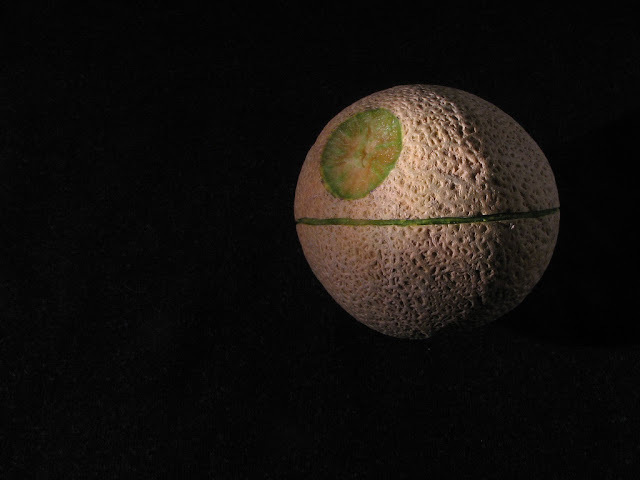 You were told as a child to never play with your food but, to be frank, sometimes when a cool idea suddenly hits, the temptation is just too strong. 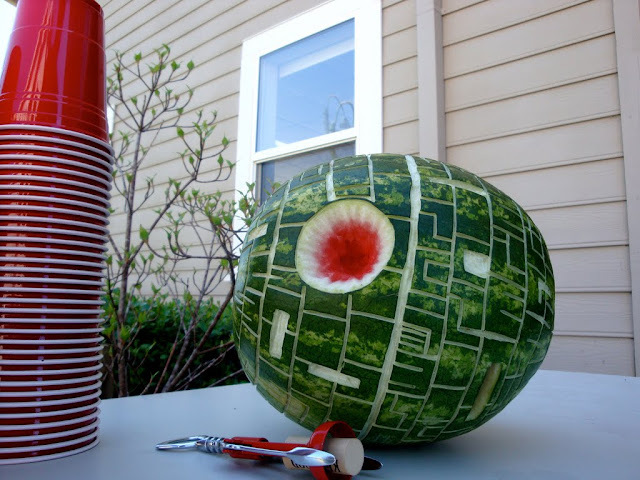 So, you take a watermelon. 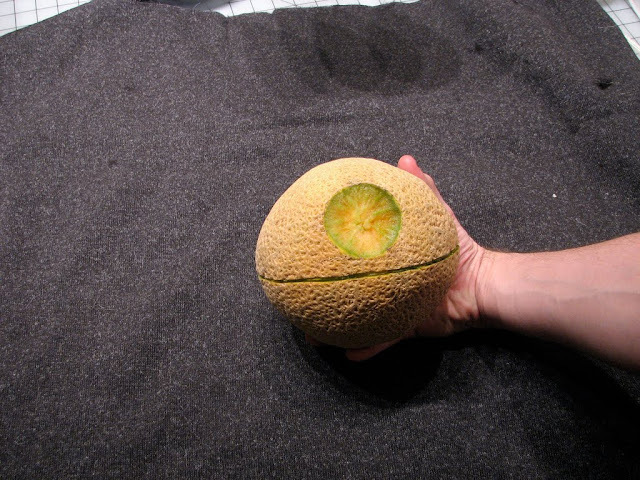 You just can't help noticing that it already kinda looks like the Death Star. It doesn't look quite right on a plate, though. Time to experiment. ...and there you have it. 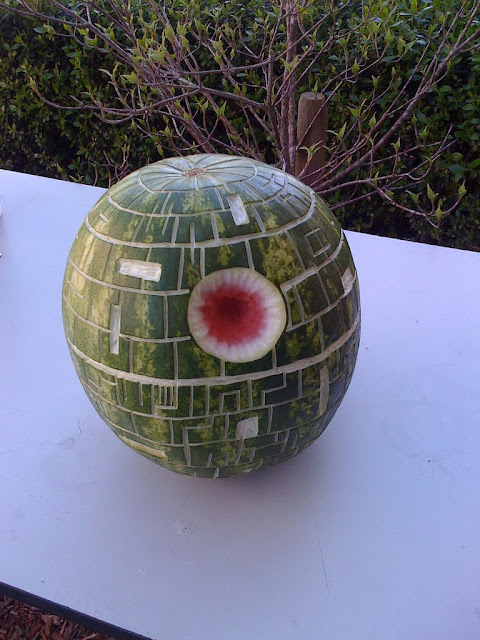 Hanging mysteriously in space, the scourge of the known universe - the Watermelon Death Star. 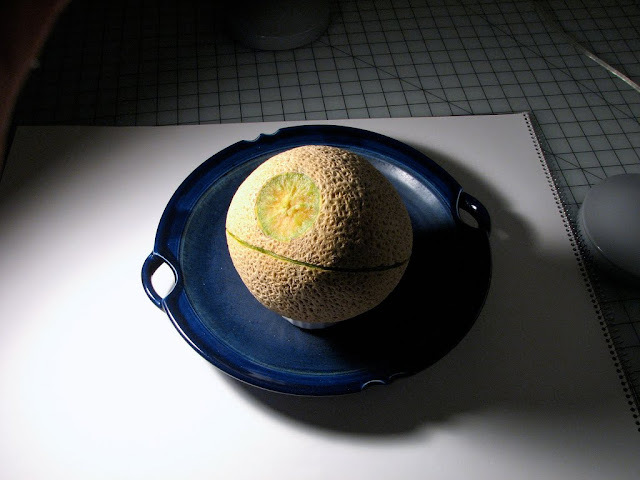 Of course if you are handy with a pen knife and have a little time to kill, you can always go for an alternative but just as fruity a vision. No barbecue should be without one, in our opinion!